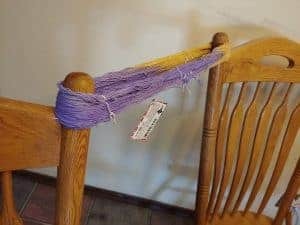 You are here: Home / Knitting Solutions / Knitting Instructions, Techniques & Tips / Are You Making One of These 3 Mistakes With Your Yarn? 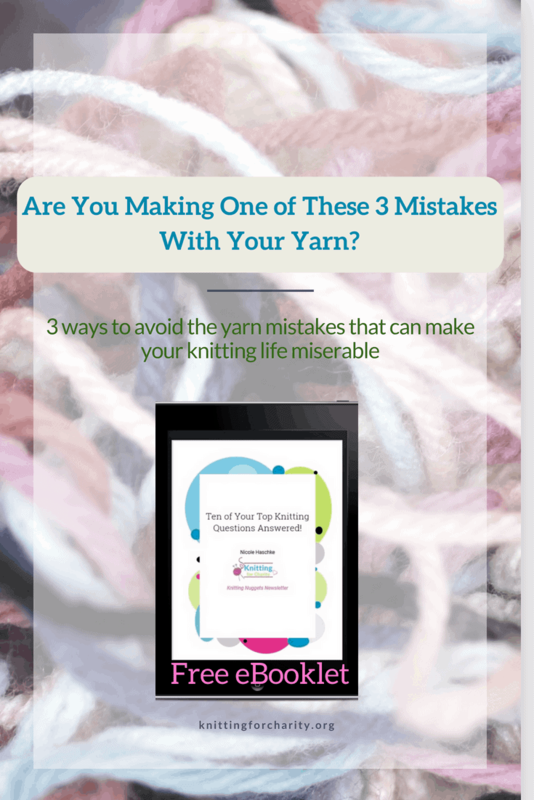 Are You Making One of These 3 Mistakes With Your Yarn? It’s a bit of a paradox, isn’t it? The very same yarn that brings us knitters such joy and delight can make us miserable. Of course, that’s not really truth. It isn’t the yarn that makes us miserable; it’s the mistakes we make with it! Yarn, after all, is an inanimate object. Although, we might imagine it has a personality while we knit with it. Oh, look, it’s flexible and springy! Oh wow, look how tough and durable it is! Ah, I love the bright and delightful colors of its variegation. Even these are qualities that the humans who created the yarn infused into it. Allowing it get hopelessly tangled. Letting it suffer moth damage. Fortunately, all of these mistakes can be fixed, though some might take longer to fix than others. And more good news: all of these mistakes can be avoided! You can wind your yarn by hand, or you can use a ball winder. Below you’ll find videos on how to do both! No, what I recommend most with tangled yarn is patience and an observant eye. The most important thing you need to untangle yarn is an end. Once you find an end, you can untangle just about anything, just by following that end throughout the tangle. And if you can’t find an end… you can always use your scissors and create one! Here’s a video I recorded showing my process for untangling yarn. Feel free to watch if you need untangling help! First, let’s have some good news. If your stash is primary acrylic (or any other man-made fiber) or cotton, you probably don’t have to worry much about moths. They don’t go after anything but animal fiber. This includes wool, alpaca, silk, angora, cashmere, et cetera. If you do have these fibers in your stash, you’ll be wise to take some precautions. The best precaution is good ol’ plastic. Plastic bins and/or plastic bags are your best line of defense against the scourge of moths. Or, more specifically, clothes moth larvae. Adult moths aren’t the culprit behind moth damage, aside from mating and laying the eggs. But what if moths have already been on the attack? If you happen to see clothes moths anywhere in your house, and/or have found compromised yarn, you definitely have a serious problem on your hands. I’ve found three articles that will help you plan a course of action to take down the uninvited guests. Aside from the wretched tangle and the invasion of the yarn-eaters, disappearing yarn is every knitter’s worst nightmare. This usually happens when you are convinced that you had enough yarn to finish a project, but when you go to get more… horror! There are two reasons this might happen. One, you have your yarn in more than one place, and you’ve lost track of the yarn. This is probably the easier problem to solve. Turn your home inside out, look in all your hiding places, and eventually, you’re bound to find it. To keep this from happening? The answer should be obvious: keep all your yarn for a project in one place. At the very most, you might want to put the “stash” for your yarn in one place, and the ball you’re working on with the project. Any more division than this is begging for trouble. The second reason this might happen is dicier. That’s when you thought you had enough yarn for your project, but when you’re down to one ball, you realize that you’re probably going to run out before you finish. Nooooooo! The worst-case scenario, of course, is that the yarn has been discontinued. (NOOOOOOO!) In that case, you will probably want to reach out to the online world. Put a call out on Ravelry; the ISO and Destash of Yarn group was designed for just such quandaries. You could also use the yarn search tool on Ravelry to see if anyone’s stashed the yarn, and consider messaging anyone who’s stashed it. And, of course, you can reach out on social media like Facebook or Instagram. Fortunately, all of these yarn mistakes are easily preventable. And while they’re not always easily fixable, they are fixable! So knit confidently. You can find more answers to your knitting struggles here!